Does being vulnerable make us weak? 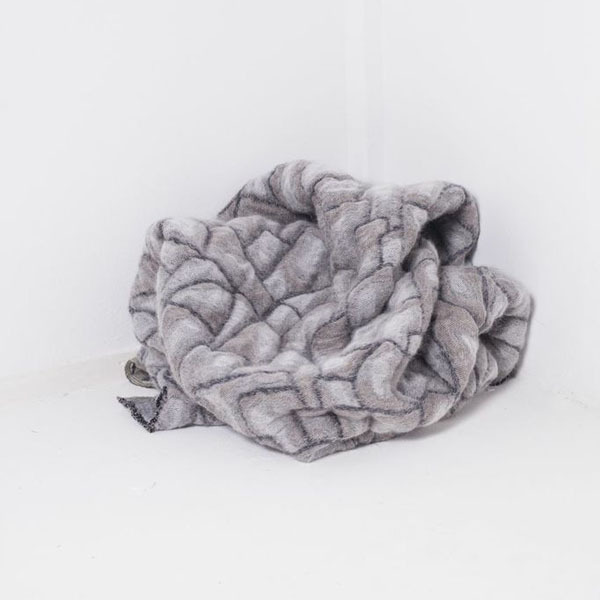 'Hide' by Dutch designer Nienke Hoogvliet is a project about vulnerability and protection. "Today’s society is tough and does not approve of being vulnerable. But I think vulnerability can give you strength and protection," she says. 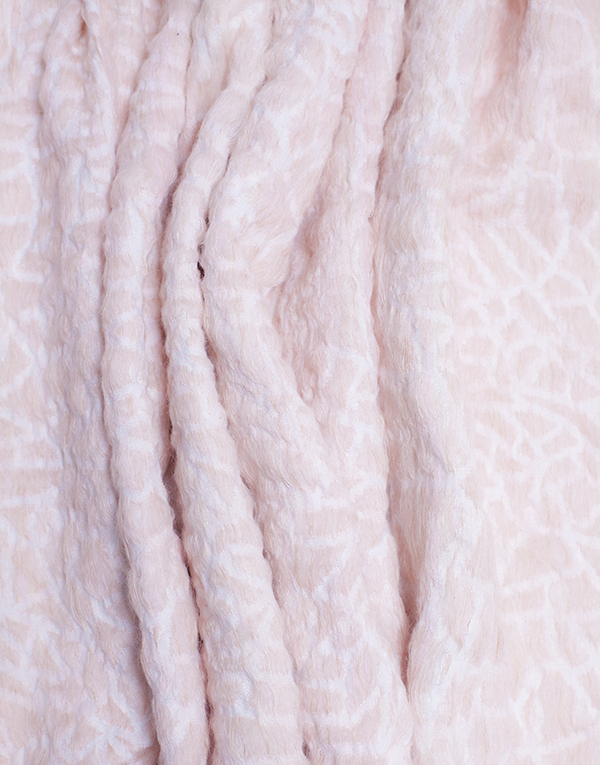 To explore the idea Nienke has designed two blankets - one that simulates human skin and another resembling elephant hide. She was inspired by skin because it is the border between our inner world and the outer one we inhabit. 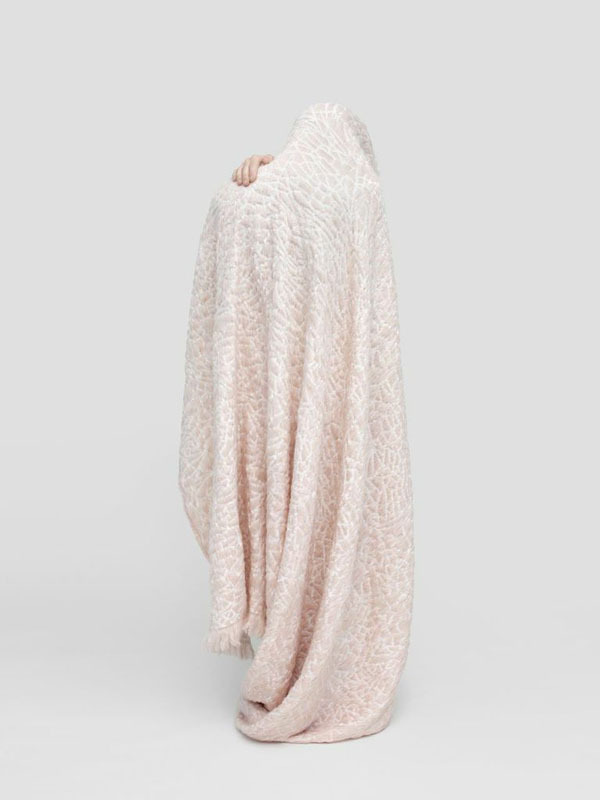 The design's title, 'Hide', invokes the idea of concealing and covering as well as skin itself. 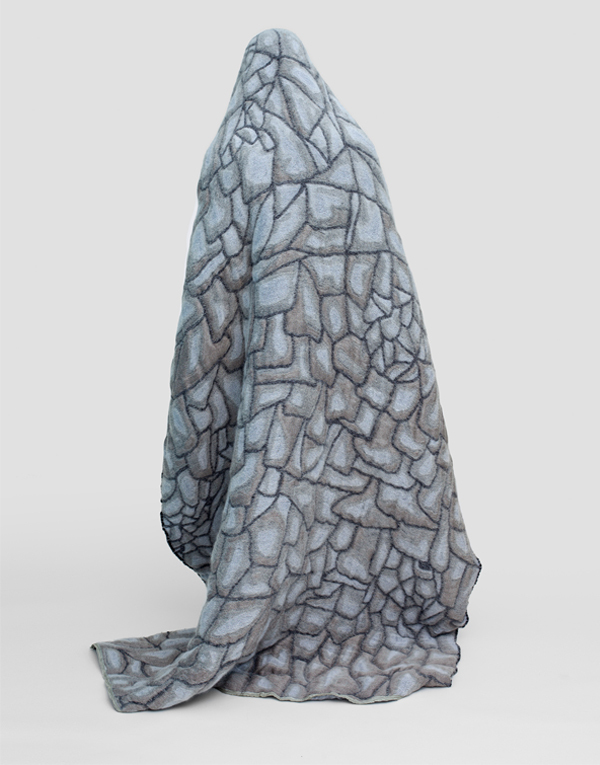 Nienke sees blankets as a metaphor for protection - the pink 'human' blanket represents fragility, while the grey 'elephant skin' blanket is thicker and more protective. 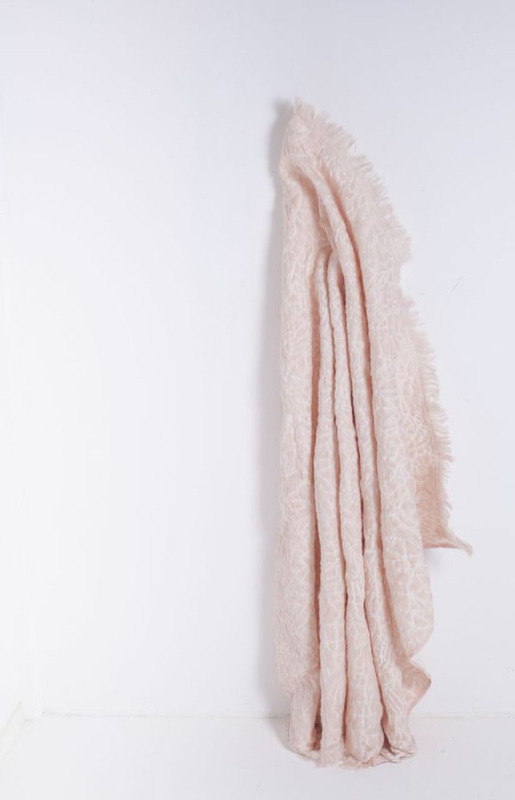 To capture the organic feel of skin, she worked with natural materials like mohair, linen and cotton. In the grey blanket a fill yarn was used, to give the blanket its thickness and relief. After weaving the grey blankets are steamed with an iron, which activates the fill yarn, and a hand-sewn silk border is added to complete the design. 'Hide' is available through the new crowdfunding platform Crowdy House.